Super Smash Bros. is a seriously fun party game. 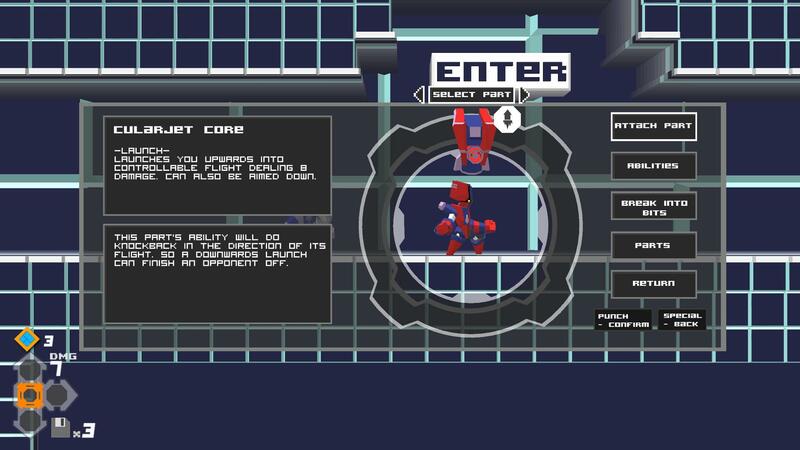 A fighting game with dirt simple controls, that has more in common with sumo than boxing. Despite this, I’ve seen very few people attempt to relicate or advance the formula at all. Megabyte Punch seeks to do just that. Let’s see how they did. No better way to analyze scenery than by destroying some of it. 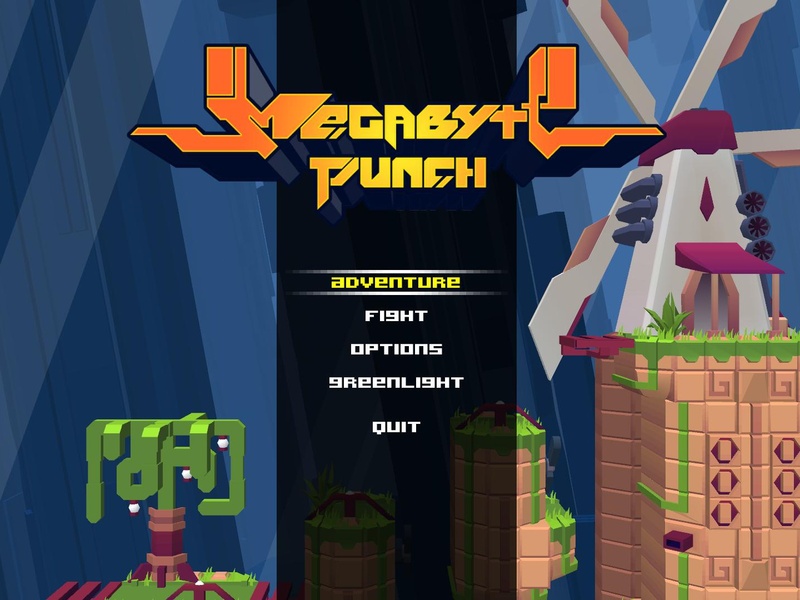 The graphics for Megabyte Punch are fairly low-poly and low detail by modern standards. In the press build there is nothing but solid colors and blocky architecture, making the whole of the universe seem almost like it had been built from Lego. That might count as marks against many games, but it is clear that this graphical style was very much by design. The setting is one entirely populated by robots, or more accurately digital lifeforms. This is very much the world they would build and live in. Not only that, but despite the lack of complexity there is no lack of diversity. The game harkens back to the NES era in a few ways, not the least of which is in the worlds you battle through. There’s an ice world, a desert ruin, a creepy night world, and even a fortress. You could easily envision Mario hopping his way through these familiar settings. In terms of characters, the detail isn’t much higher, but once again the variety is entirely present. As you’ll read below, there are dozens of different body parts in this game which each bring along their own abilities. The body parts are visually distinct, and make it fairly simple to know what sort of attacks a given enemy will throw at you. As you play through the adventure mode, aside from unlocking new body parts to make your character look and play differently, you’ll also get some strictly cosmetic color modules which help customize your appearance further. For those who haven’t played Smash Bros. (shame on you) here’s the rundown of the basics. Rather than killing enemies by taking their health down to zero, you instead kill them by inflicting serious damage. 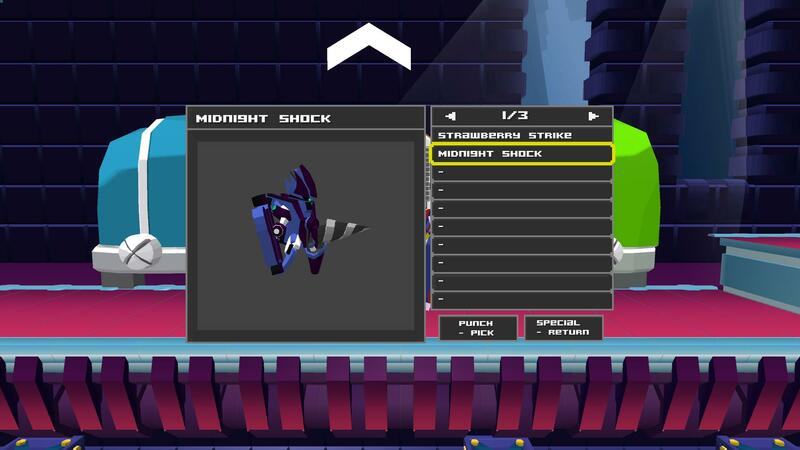 Each point of damage makes them fly further when bashed, and if they fly to the edge of the screen, they are beaten. In boss battles (or multiplayer battles) both enemies and the player get a number of lives. 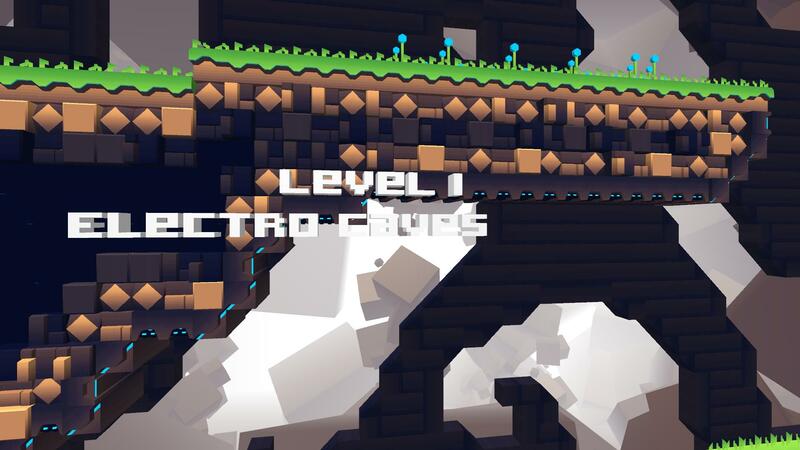 During adventure levels, only the player gets lives. The player gets a jump and double jump, standard attacks in all direction, and special attacks in all direction, most of which are as much about mobility as dealing damage. It is a great scaffold for really intense multiplayer brawls, and Megabyte punch implements it well, and adds a few things besides. Well, that's the basics, I guess. 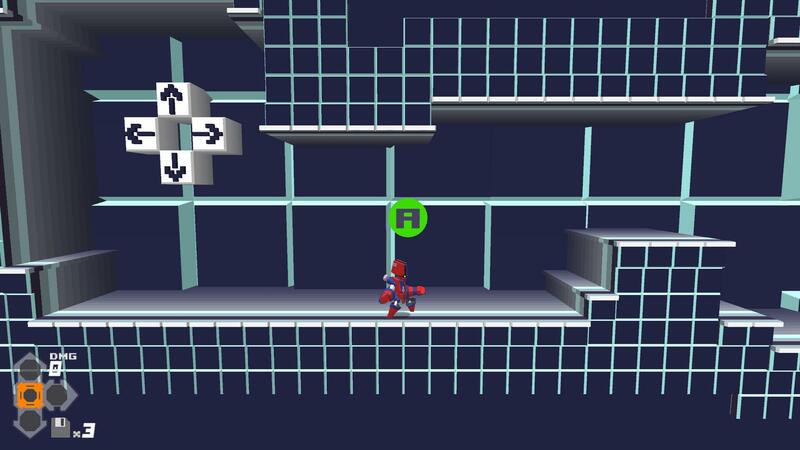 The first major addition is the satisfying “wall smash.” In Smash Bros., if you find yourself in an enclosed space, neither of you are going to defeat your opponent any time soon because you can’t knock them off the edge of the screen. In this game, if you send your opponent flying with sufficient velocity, they will detonate when they strike an obstacle. This opens the door not only for much more complex adventure levels (as you don’t need to have at least one opening to knock a foe through, but it means that matches are that much more strategic and meticulous. Nintendo has populated Smash Bros. with a cast of their most popular characters and equipped them with appropriate maneuvers. Things are handled differently in Megabyte Punch. Each character is composed of two legs, two arms, a pelvis, a pair of shoulders, a torso, and a head. When you begin, all of these are standard. As you destroy enemies, they’ll sometimes leave behind body parts which you can swap in for your own. These body parts may have abilities (teleport, slice dash, swoop, machine gun, etc) or stat improvements (defense up, speed up, better block, etc). Once you equip something with an ability, you assign which direction you want to use to activate it. This ability to custom build your character give a phenomenal amount of flexibility to players with specific play styles. Not only that, but swapping out body parts can be done on the fly, meaning that over the course of a single level you might gain key abilities to turn the tide. At first I thought a third jump was all I'd be getting. A few levels later I had five. There are a few things about this system that I really love. One is that the abilities stack. Equipping multiple “additional jump” powerups allows you to gain ridiculous air superiority. (I spend much of the game with four jumps.) Another is that almost every maneuver can be retargeted. Sure, you might assign drill dash to left/right, but if you activate it, then hold up while it is in its warmup animation, you’ll dash up. Good stuff. Though I suspect the main draw for this game will be the multiplayer, the adventure mode is actually really excellent. For one thing, it is multiplayer too, with up to 4 players allowed to play through it together. For another, you are able to gather “bits” which earn you extra lives and also let you buy body parts at a store. There are elements of other games that grow naturally out of this game design. Killing enemies to gain their abilities harkens back to megaman. 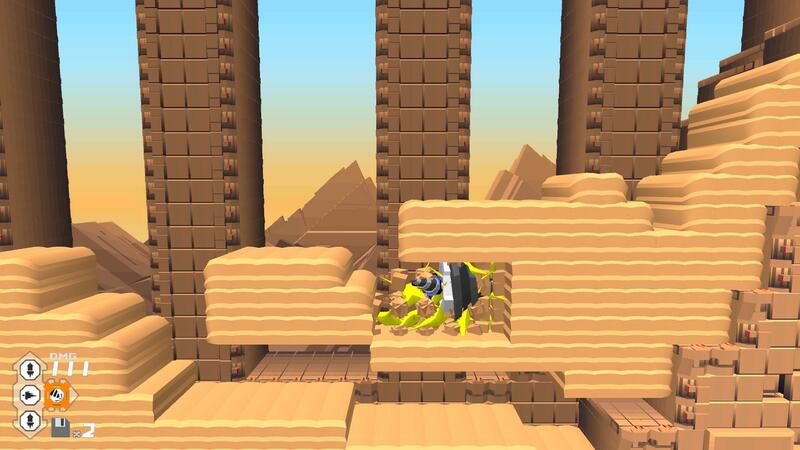 Some abilities let you access previously unreachable areas, like letting you pass through toxic clouds. This is metroidvania-esque. 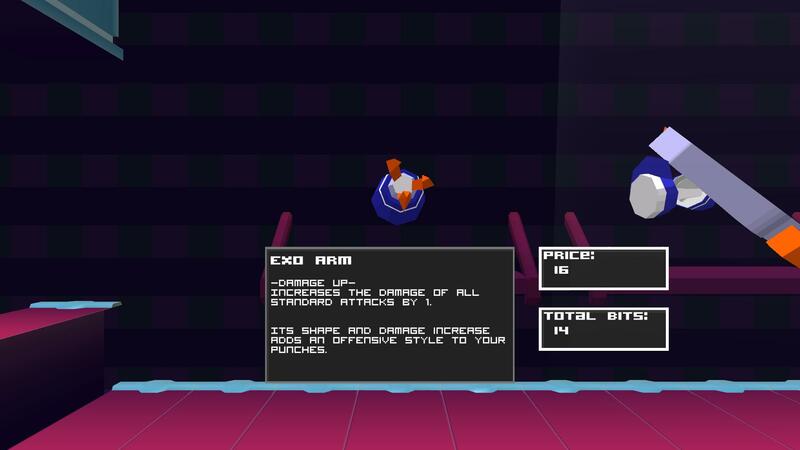 Occassional miniboss encounters allow the player to set checkpoints, and exploration is almost always rewarded. While most enemies are either minor or equal to the player, there are some massive boss creatures to mix things up. 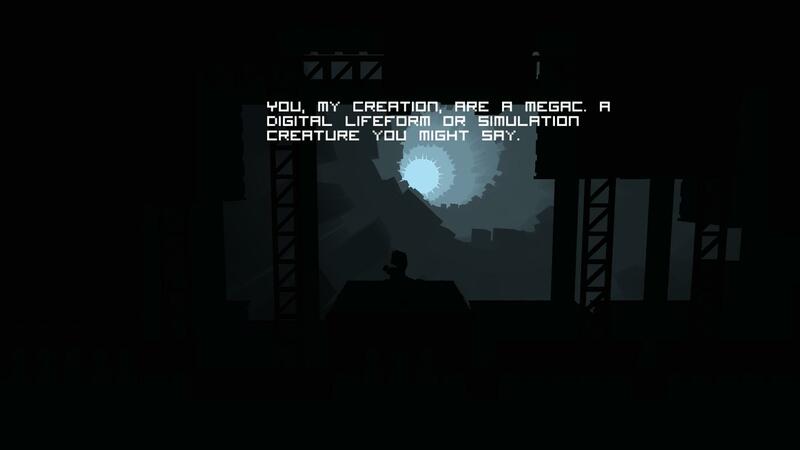 The music has a techno/dubstep feel to it, and sometimes reveals what I strongly suspect are nods to famous games. The spooky level has a song that seriously reminds me of Ghouls and Ghosts, for instance. The sound effects are useful, too, highlighting different intensities of maneuvers and letting you know if something exploded off screen. The story isn’t exactly high-drama, but it is much less of an afterthought than many such games get away with. You are a megac, and you are summoned to defend a town. Over the course of the game you’ll learn of other villages or nations with which your own has political contact. Some are friendly, others less so. 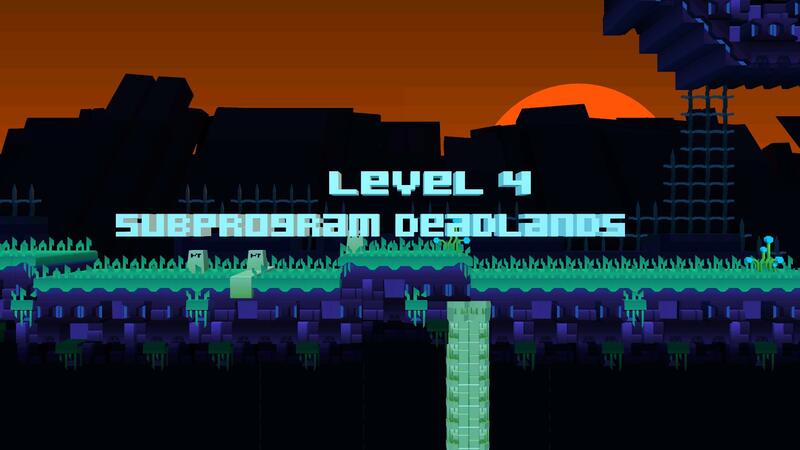 A fair amount of effort is put into developing the setting and world, going so far as to introduce the concept of “subprograms”, which are this settings equivalent to the undead. I liked it. 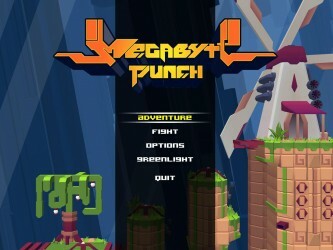 Megabyte Punch is a truly enjoyable combination of two games I really love. One is obviously Smash Bros. The other is a less known title called Custom Robo. The result is a game that will feed the same need as both games. It is tremendous fun, and highly recommended. 9.2 / 10: A Smash Bros. 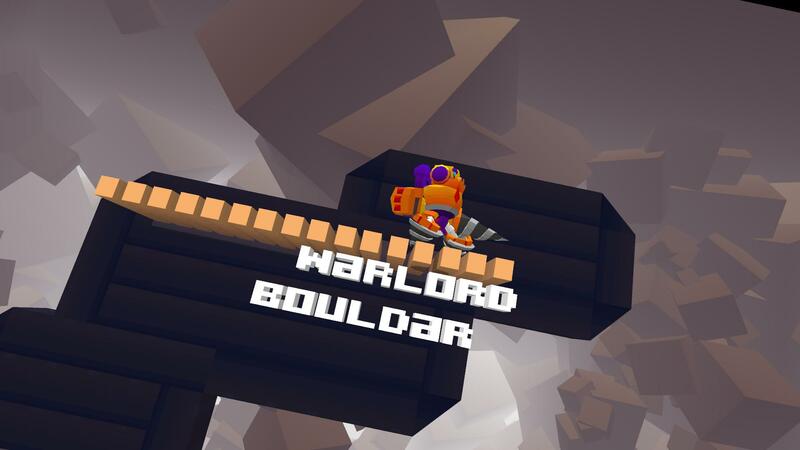 Style brawler with fun and varied mechanics that is seriously addictive. Well, that’s the basics, I guess. At first I thought a third jump was all I’d be getting. A few levels later I had five.